It’s like I have asked them to have lunch with me on the planet Zoltan, to which we will be traveling on our personal spacecraft. People are amazed that there can be such an event. How can there be enough films in or about a tiny country like Estonia to have an entire film festival? Well, there are and there is. 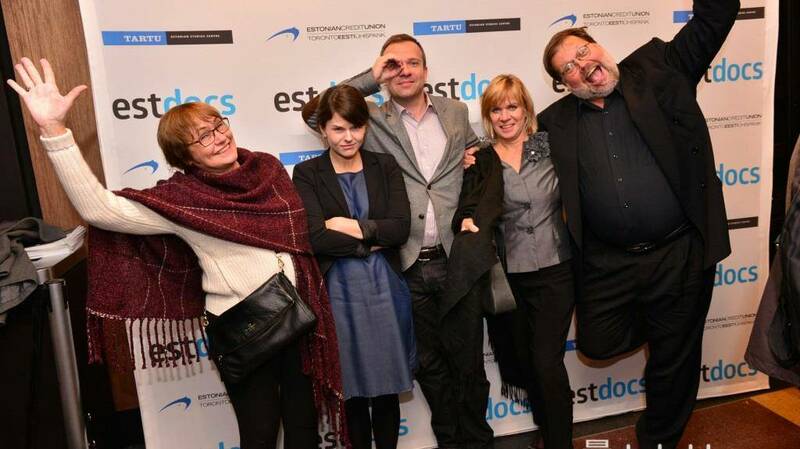 In fact, EstDocs is the largest annual Estonian cultural event outside Estonia, the festival’s director, Kristi Sau Doughty, explained. 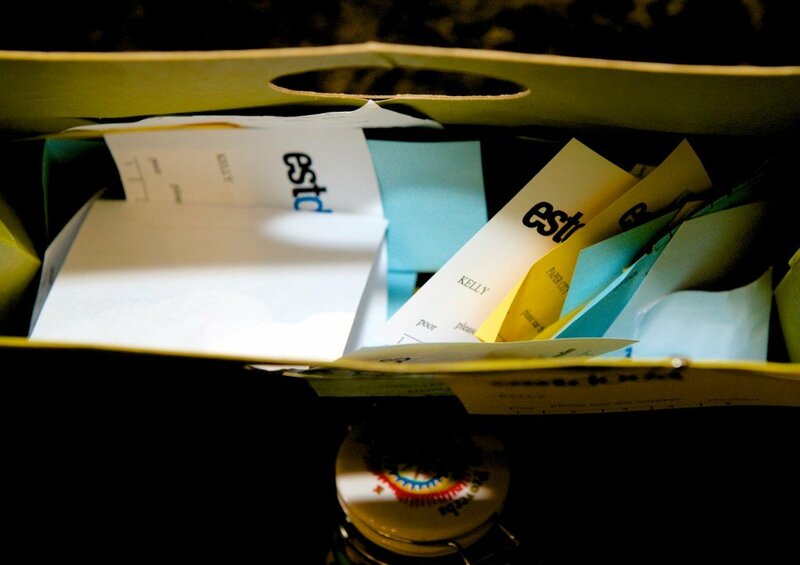 This year was the tenth anniversary of EstDocs. The venues were packed with eager filmgoers and many events were sold out. In 2005, 250 people came to the festival and in 2014, the numbers swelled to 1,450 as more people took in a wide array of films from Oct. 16 – 21. The festival is run strictly by volunteers, which includes a board of directors and a small army of workers who do everything from taking photos to serving drinks. But the question remains: how can there be such a prolific outpouring of creativity from such a small nation? “Estonia does produce a lot of films for its size,” Doughty said. “The government is supportive of filmmakers and there is so much history, which hasn’t always been pretty. A delightful part of EstDocs is the short film competition. Competition director Tauno Molder sends out notices far and wide to solicit proposals and this year 16 submissions were received. The short films, which are a maximum of seven minutes in length, were presented on 3 October to a sold-out theatre of 65 “judges” who watched the offerings and then voted for their favourite. One of the short films was “Visions of Kihnu” by Madis Ligema. Kihnu is a small island seven kilometres in length off the coast of Estonia where a matriarchal society runs its day-to-day business while the men are at sea. The women on this UNESCO proclaimed heritage island wear traditional clothing every day. The protagonist, Marge, wears a traditional striped wool skirt, an Adidas jacket and a headscarf and zooms around the island on an ancient motorcycle with a sidecar. The winner, “Pearls of the Black Sea”, by Erik Norkroos, was announced at the EstDocs Gala evening on 18 October at the HotDocs Cinema in Toronto. This poignant film features an older Estonian couple who lives in a hauntingly beautiful area in Crimea on the edge of the Black Sea in a small village called Sulev, settled in 1885. Marge from Kihnu landed in the second spot and “House of Poor Writers” by Jaak Kilmi and Jaan Tootsen took the third place. The audience favourite – which also received an honourable mention from the jury – was “Motherland”, a lovely film by Steve Zilberman featuring Kaja Wichman, a young Estonian Canadian artist who explores her roots by taking part in Estonia’s Song Festival (Laulupidu). 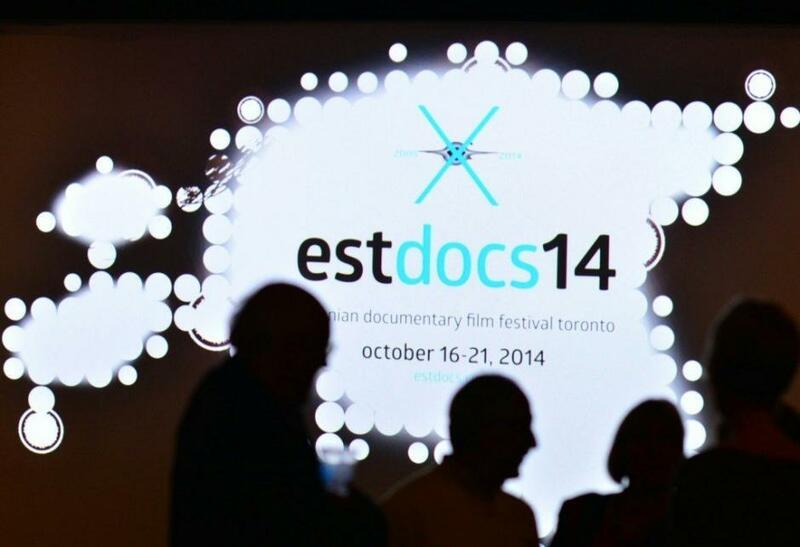 The films participating in EstDocs are judged by a panel of film and media experts. One jury member, Madeline Ziniak, Chair of the Ethnic Media Association in Toronto, said she was “pleasantly surprised” at the depth of the festival and called it a combination of Estonian and Canadian values. 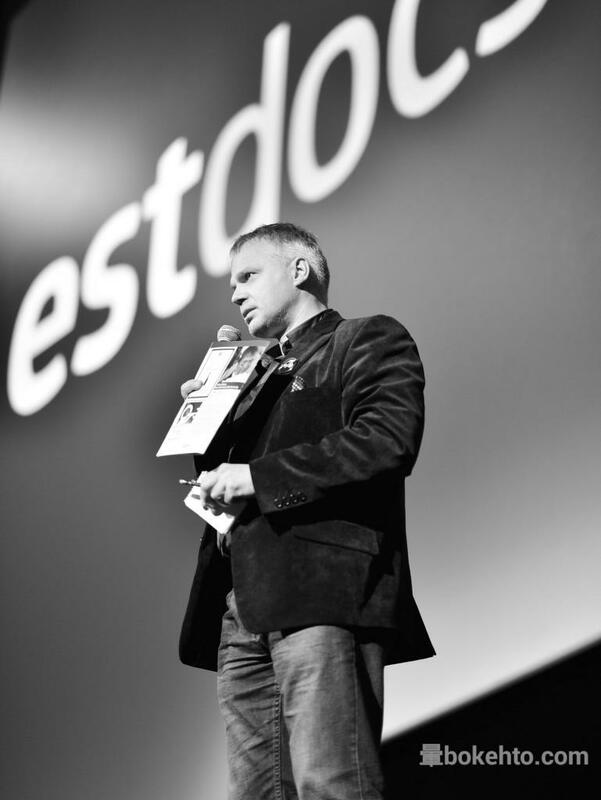 EstDocs moderator Indrek Treufeldt, a well-known broadcaster in Estonia who also teaches at the Baltic Film and Media School at Tallinn University, called the festival an “amazing event”. He was on hand at all the screenings and shared with the audience interesting stories about the filmmakers and the history that led to their projects. The world premiere of “Keepers of the Loom” was a festival highlight. Created by Tom and Reet Mae, this labour of love by the two Toronto-based filmmakers depicts how Estonian handiwork has helped keep our culture alive. The result is a tapestry of memories, art and love of the Estonian culture kept alive primarily by Estonian women through the magic of their creative handiwork. The jury’s top prize went to “Women of Muhu Island”, a film about how local traditions are kept alive through their traditional costumes, dancing and unquenchable spirit. The audience award went to “Ash and Money” by Tiit Ojasoo and Ene-Liis Semper, a clever parody by well-known Estonian theatre troupe NO99 on the creation of a new political party. 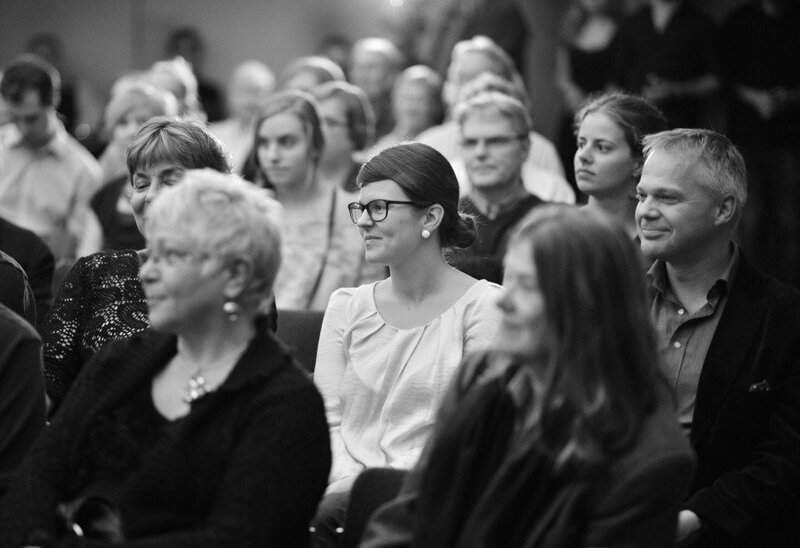 The EstDocs theme this year was “Connection.” The festival’s director, Kristi Sau Doughty, said the EstDocs mission is twofold: to provide Estonian cultural experiences for Estonians, and to share our culture with Canadians. Photos Peeter Põldre and Nicolas Jones. Cover: EstDocs screen by Nicholas Jones – bokehto.com.